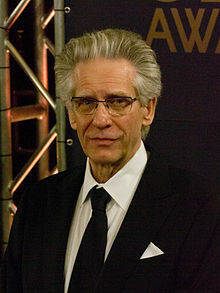 David Cronenberg (born March 15, 1943) is a Canadian director, producer, screenwriter and actor. He was born in Toronto, Ontario. He is of Jewish descent. Cronenberg's work includes: Rabid, Scanners, Videodrome, The Fly, Dead Ringers, Crash, A History of Violence, Eastern Promises and A Dangerous Method. This page was last changed on 17 March 2017, at 12:38.